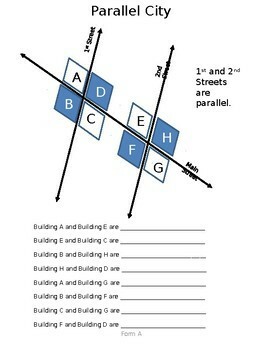 Parallel City is an early lesson activity to help understanding of parallel lines cut by a transversal. There are three tiered lessons with answers included. 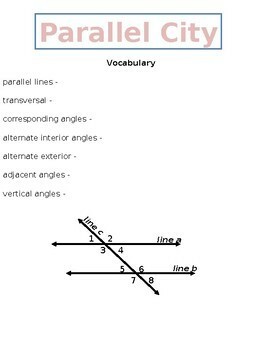 Good activity for an early lesson in this subject.